If I have ben very Lucky this should be a photo. 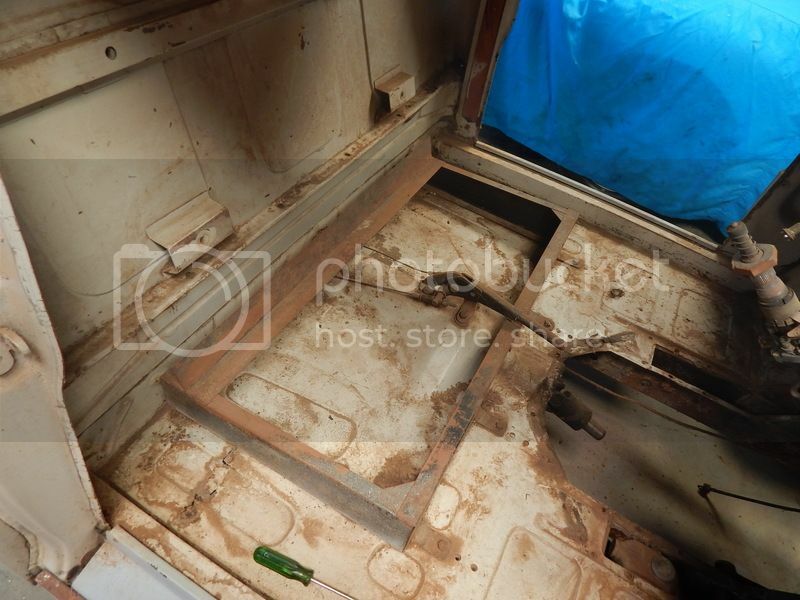 My progress on the ute is being made slowly, tub is off and rear bubble has been repaired very well by my brother in law ( an electrician by trade with a passion for restorations) he has mig welders, guillotine, English wheel edging machine, folder and more. I have finished the front guards, sill covers and front bumper, and found all the chrome I have done over the years including headlights ,hockey sticks grill surround and front bumper. I am spending a lot of time on the Austin "crinkly grill" but it would e very hard to find another. My lovely wife who is tremendous at organizing came into my shed and sorted my "stuff." Lots of surprizes in what I had, and bought twice. I have most chrome pieces all rubbers (except cab to bubble) engine mounts all gearbox mounts and cables, full set of brakes 8 inch front 7 inch rear, a set of 5 Major wheels a 4.2 diff a good 998 motor with a set of twin SU,s recond. gearbox etc. And now it is all boxed and labelled. The Ute will go together quick once the body is done. Rear bubble is finished with a rope rail across the rear under window for the tonneau cover B.I.L also added a hi level LED brake light above window and an LED light under tonneau rail . All going well at the moment. Must try again to get my photos up from Photobucket. A new tubular angle section folded and fitted across rear of cab for tonneau cover. A tube with slide in cord fitted to locate tonneau cover across the rear under window . A LED stop light fitted above rear window. Two LED lights fitted under tonneau. All wire concealed inside widow and tonneau bar. And the cost. "Happy Birthday John"
I will try again to get a photo up. Do like sounds of the progress, sounds like it will ready for the nationals. Well today I got to the place I have been trying to get for years. The Ute is down to a bare chassis and once I have sanded/repaired and painted it I will starting to build upwards towards an end. Noticed today that the diff has had a rear filler welded into the rear so it has a different diff 3.7 3.9 or 4.2 ????? pull it out tomorrow and see, I already have a good 4.22 to go in. How did you go with the Diff ? Comes out tomorrow with some luck. Diff stripped today and it took an hour to clean the grease off me. Talk about oil leaks, no gasket on the diff centre no gaskets in the hubs. I think there was more oil in the brake drums than the diff. All in caustic now for a few days, good news was the diff was 9/38 or 4.22 to one so I now have two. last couple of days I have been working on my Ute cab. My Morris Restoration book says " stitching in a new tie plate is a simple job for a beginner" Obviously new nothing of myself and welding skills, still I have managed to fit two new tie plates and weld some plates in the wheel arches now to start the floors. ESM were the cheapest and by hundreds of dollars over the dearest, and they are top quality panels by Henrics. But the biggest surprise was the speed of the delivery ordered on the 30 Oct 11.30 and arrived to the door at 9am 3 Nov less than 4 days . 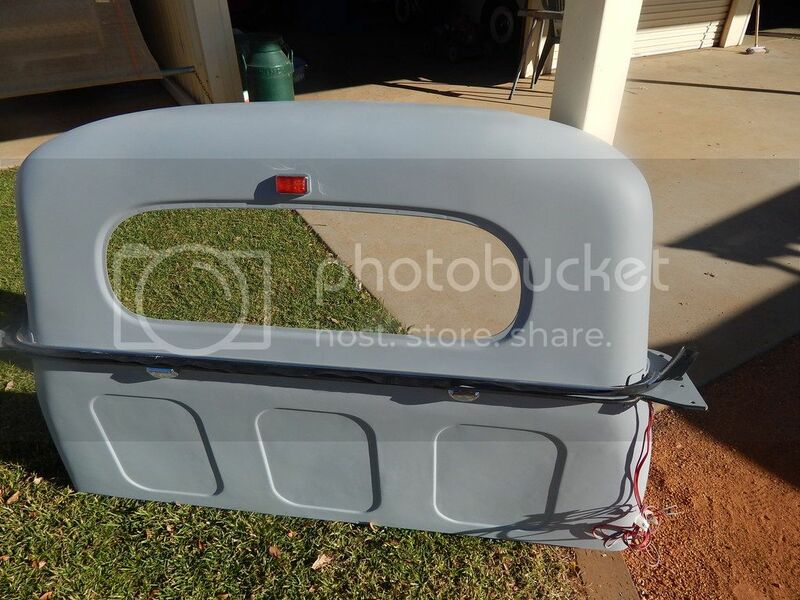 I bought two Ute wheel arches two floor pans and the panel under the tailgate which is a double piece with hinge mounts ,numberplate light etc. Now to fit them to my very rusty steed. That's fantastic John and verifies just about every experience. Incidentally, the panel under the tailgate is called - the beaver! I took my twin cab in to the panel shop after a clown rear-ended me a few weeks ago, and that's what they called it! Floors are in and painted tie plates finished and engine bay all painted. I used enamel in the genuine Araluen Blue as the Morris Utes here were painted. So since resurrecting my shed following the busted water pipes I have now fitted cab back onto rebuild chassis and rear end. Now ready to start fitting the totally rebuilt front end and 8 inch brakes, it does feel like I am going forward. Called the wife down and put her extra 65kg in the engine bay it helped but was still hard to do. Looking forward to seeing the finished article. It sounds as though you're cracking along. Somehow missing one 8 inch brake shoe currently searching the shed. A new full setoff 4 vary from $24 to $92 with UK the cheapest might be buying a new set. Annoying as the ones I had were near new and profiled to the drums. Just running the brake lines and unsure whether to boost just the front (easier) or all four wheels. Just the front on my 4 door seems to work great. I guess the question is whether your booster will lock the rear wheels unnecessarily or prematurely, the rear being lighter than the front. This would seem to affect the amount of pedal you can use to stop quickly. So as they say S......T happens ,following the busted water pipe and the massive shed clean up I was missing one 8 inch brake shoe . These were almost new a series 5 set and off my car when I fitted the Major 9 inch so perfect for the Ute project . Two weeks of searching I gave and ordered a new set which I bought from Classic Motoring cheaply at $40. So when they arrived today I fitted them on including pulling the drivers one side off that I had previously done. Finished and happy with the job I went looking for my brake line flaring tool and low and hold there was the missing shoe. Just needed to wait one more day. Where did you get the brake pipe from, and is it stainless?